What can we expect the future of sports betting to look like? What can we expect the future of sports betting to look like? According to a May 2017 Oxford Economics report, legalized sports betting is projected to generate $8.4 billion in new tax revenues, create more than 200,000 new jobs and add over $22 billion to the nation’s GDP. With a budding new industry on the horizon, businesses are working tirelessly to capitalize on the new opportunities being presented in the world of sports gambling. Casinos will need to be well-prepared for the influx of new customers that will be flocking to their venues in hopes of placing their first legal sports bet. 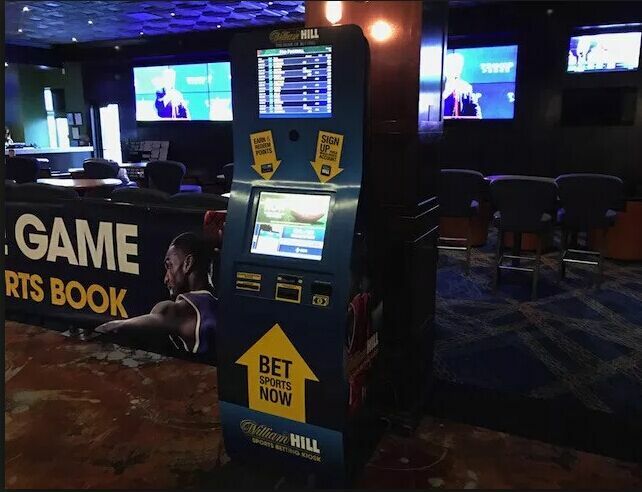 As a result, many casinos are finding that sports betting kiosks provide the needed automated self-service solution to handle a higher volume of sports wagers without requiring the need for additional customer service staff. With such anticipated economic growth in the gambling industry, casinos will need to do their best to streamline their betting services. Sports betting kiosks will be a key factor in perfecting this process as they will improve the customer experience and will increase betting revenues for operators. Wagering kiosks will improve the customer experience by cutting down wait time. Customers will not be waiting in line to place a bet. With multiple betting kiosks available, customers will be able to place a wager whenever they please. In turn, this will also increase revenue with more total bets placed. Next: Here is the list of industry trade shows and events which companies exhibit and attend for the kiosk industry. Shenzhen Synco Technology Co., Ltd, a professional hardward solution provider, provides you with over 10 years' experience and service in magnetic/IC card readers, RFID card readers and special printers. Subscribe to our Newsletter and we will send you news and information about new trends every week..